A grand set for a better practice of the English tenses. In order to define the price of products and delivery, please contact us via mail or phone. 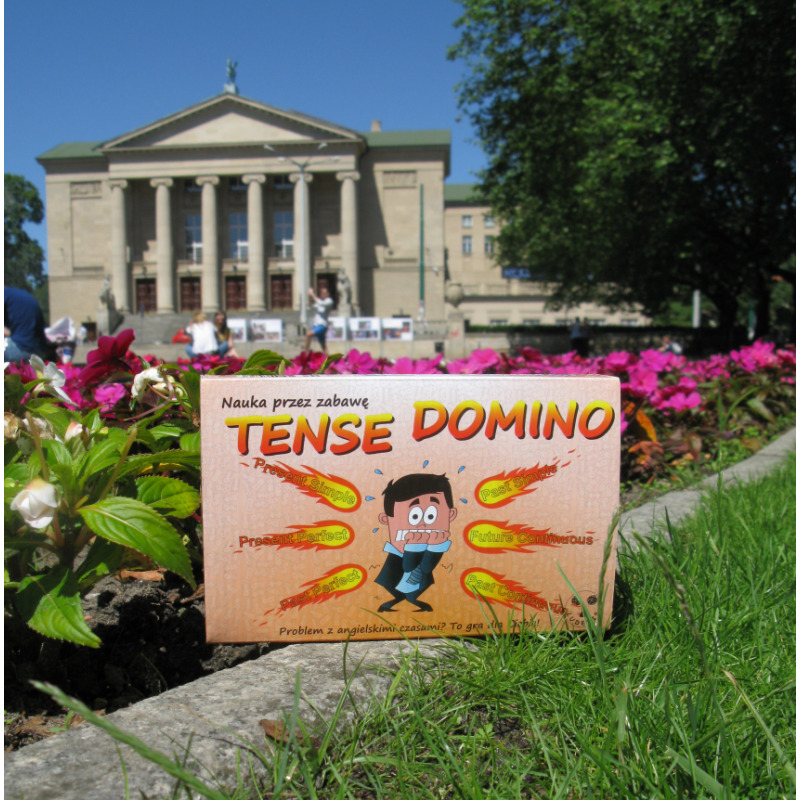 The Tense Domino game fosters learning of nine English grammatical tenses. 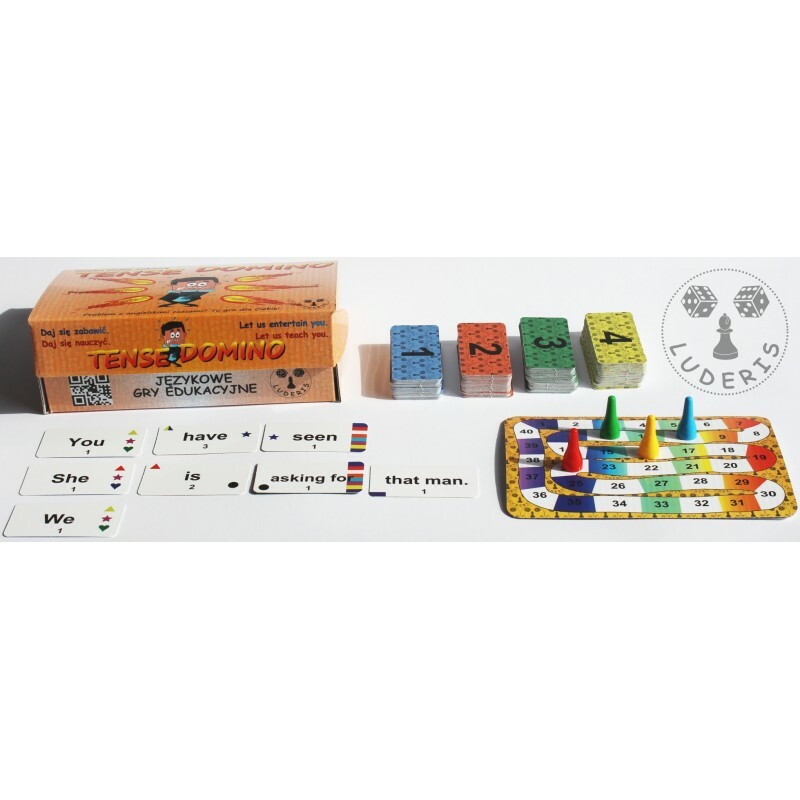 The game consists in placing tiles in short chains to form sentences. The score is awarded at the time of a sentence completion, but only to the player who completed the sentence. It enables the players to employ various tactics. All the sentences formed during the game are grammatically correct. A system of coloured markings at the tile edges ensures that no incorrect sentence can be formed. This way the game may be played even by people who do not know English at all. 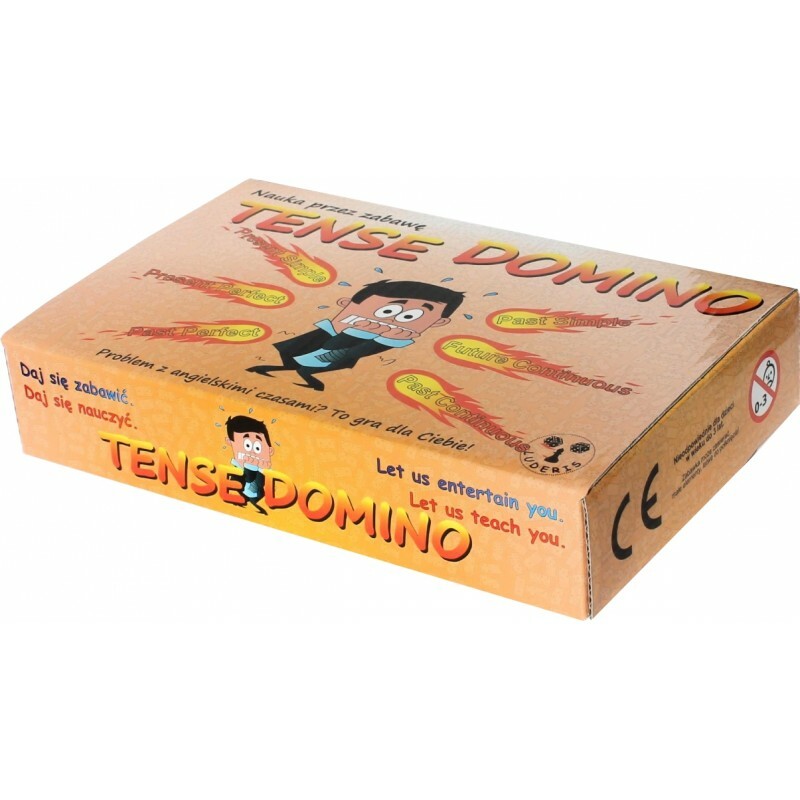 The set consists of 168 Tense Domino tiles, a mini board with a score track, four counters and an instruction (Polish only - for the English version contact us by e-mail). Language level B1 (intermediate). For 2 to 4 persons. Players age - eight years and up.